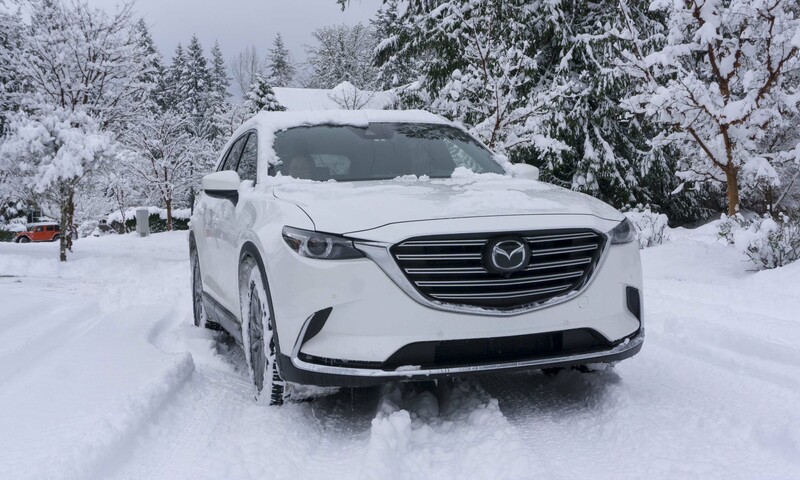 In most car segments, balance is a delicate art — a combination of power, handling, comfort, and convenience intended to create a well-rounded ride that appeals to the broadest spectrum of potential buyers. 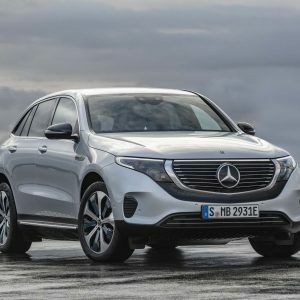 In the rarefied air of luxury cars, there is greater specialization that shifts the scale; the stripped-down supercar, the hyper-posh long-wheelbase executive sedan. Higher still in the sky are models that deconstruct the difficult balance, seeking to combine ultimate performance and ultimate luxury. Having it all is the name of this game — the best of everything. 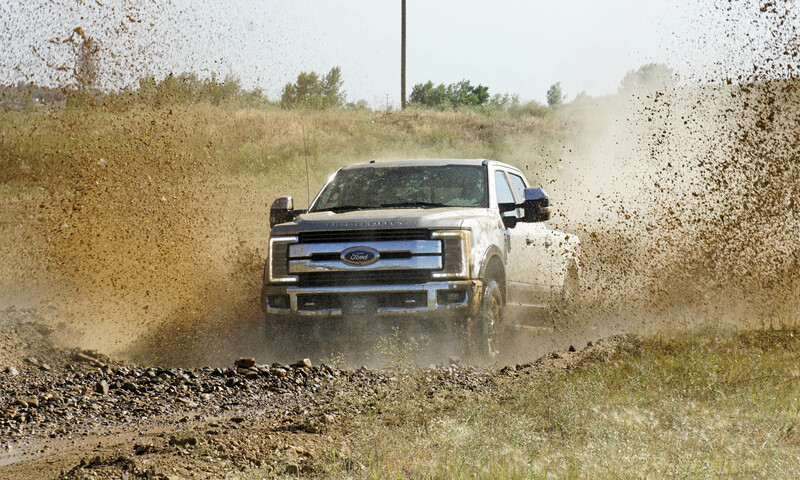 Here are 15 ways to tear up the open road in the highest style. 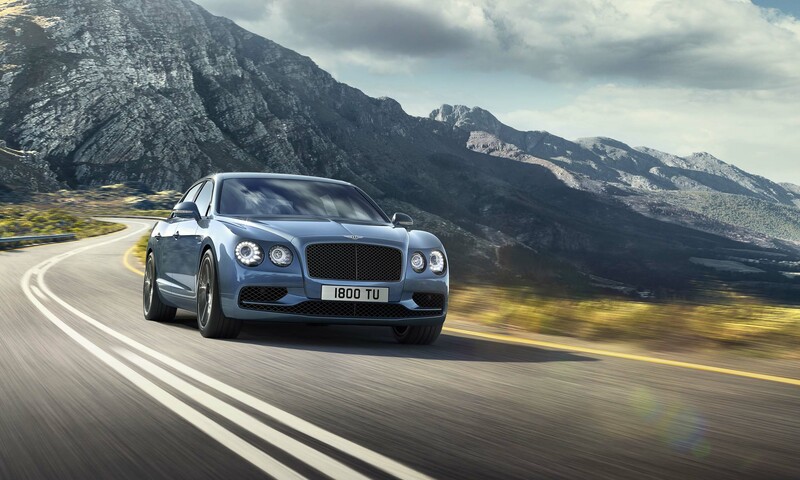 Every aspect of the Bentley Flying Spur W12 S is selected to maximize the performance, interior quality, beauty, and ride quality on which Bentley makes its name. At 626 horsepower and 605 lb-ft of torque, the 6.0-liter twin-turbocharged W12 engine propels this 5,456-pound behemoth from zero to 60 mph in 4.2 seconds, topping out at an astounding 202mph. Combine that with the fine leather appointments and Mulliner drilled-alloy foot pedals and knurled paddle shifters, and you’ll need a longer commute just to take it all in. But then again, you’re not commuting. 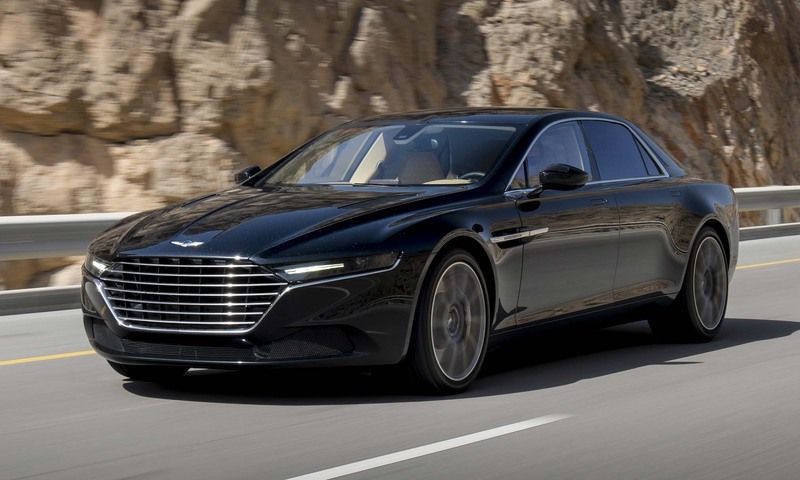 Probably the last thing people expected from Aston Martin in 2014 was a resurrection of its delightfully iconoclastic 1970s / ‘80s-era Lagonda sedan nameplate, yet there it was. The invitation-only Lagonda program was opened to Americans in 2016 — at a reported seven-figure price tag. With Aston’s 5.9-liter V12 making 540 horsepower, the Lagonda Taraf provides one of the most exclusive, sportiest chauffeur-driven experiences on the planet. 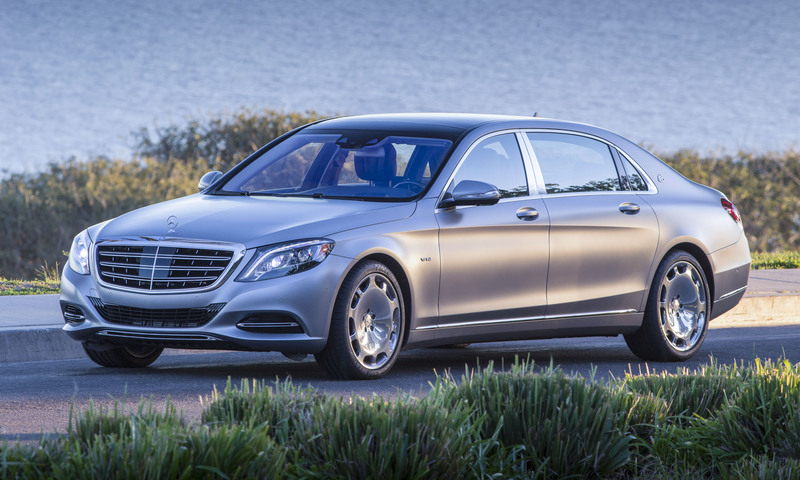 If somehow having “just” a Maybach isn’t one-percenter enough for you, there’s always the S600. 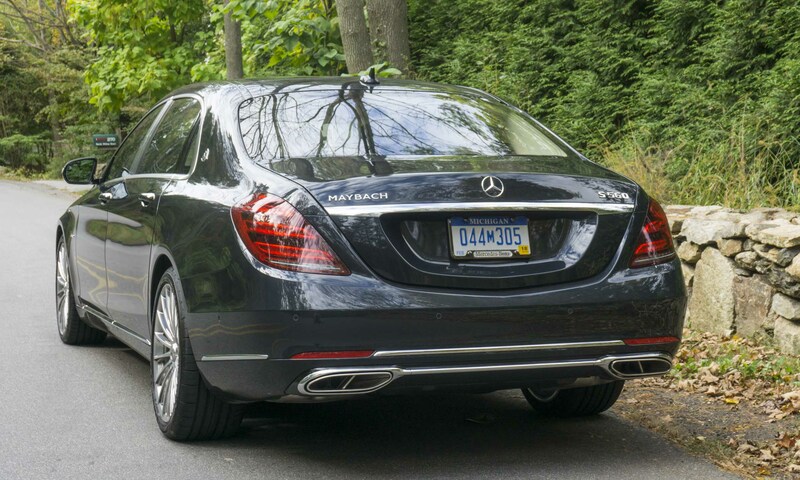 Swapping the twin-turbocharged V8 in the S550 for a twin-turbocharged V12 gives the Maybach S600 523 horsepower and 612 lb-ft of torque. That’s enough to send you, your driver, your guests, your handcrafted Nappa leather and wood interior, and just about any option you can think of (rear cabin refrigerator box, heated armrests, handcrafted silver champagne flutes) from zero to 60 mph in 5 seconds dead. A Panamera Turbo, like any other Porsche Turbo variant, is already impressive. 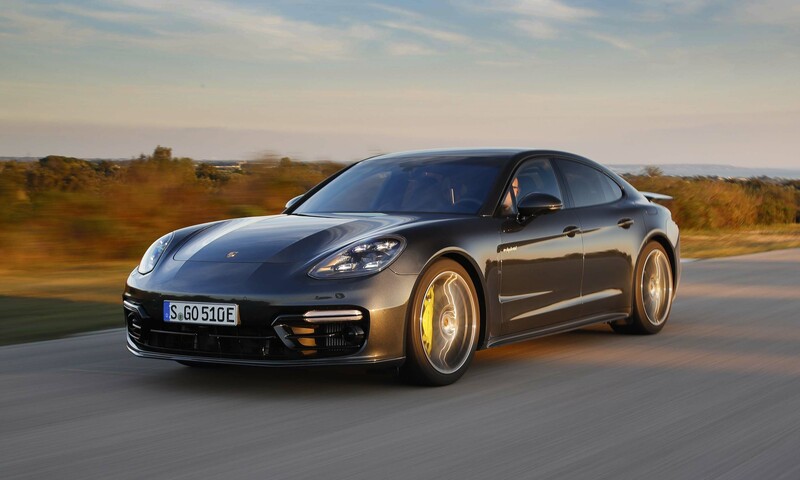 The Panamera Turbo S E-Hybrid kicks things up a notch, tacking a 100kW electric motor onto the existing twin-turbocharged and intercooled 4.0-liter V8 engine for a combined output of 680 horsepower and 626 lb-ft of torque. Zero to 60 mph occurs in just over 3 seconds, top speed is 193 mph, and appointments are everything expected from a top-of-the-line Porsche — provided your bank account survives the options list. Few vehicles tackle the challenge of providing exceptional performance and luxury as aggressively as the Alpina B7. From the back seats, nearly every technological bell and whistle is at the ready, including a tablet that pops out of the center console to control most interior functions, and decide what kind of massage you’d like. 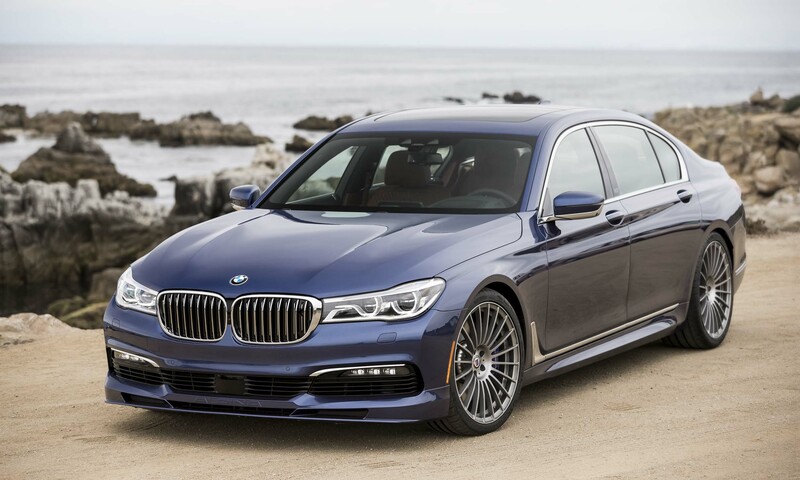 Up front, gesture controls allow easy and quick adjustments — handy when the Alpina-tuned 4.4-liter twin-turbocharged V8 engine pumps out 600 horsepower and 590 lb-ft of torque with a limited top speed of 192mph. Even at just over 200 inches long with a 4,685-pound curb weight, Audi’s S8 Plus is something of a sleeper. Don’t be fooled: Under the S8 Plus’ smart, understated exterior sit a slew of technological features (Audi’s MMI multimedia interface, an array of driver-assist systems, a head-up display, night vision aide), along with a 4.0-liter twin-turbocharged V8 engine with 605 horsepower and up to 553 lb-ft via overboost, making the S8 Plus perhaps the subtlest member of the 600-horsepower club on this list. 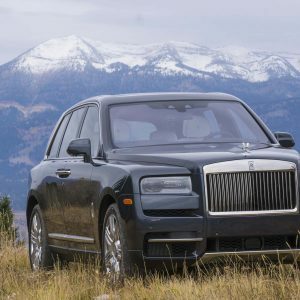 If the status of a Rolls Royce Ghost isn’t quite enough, they have something for that. The Black Badge package ups the Ghost’s “wow” factor with beautiful black paint, black chrome accents, exclusive 21-inch carbon fiber wheels, and all the interior trappings of luxury. 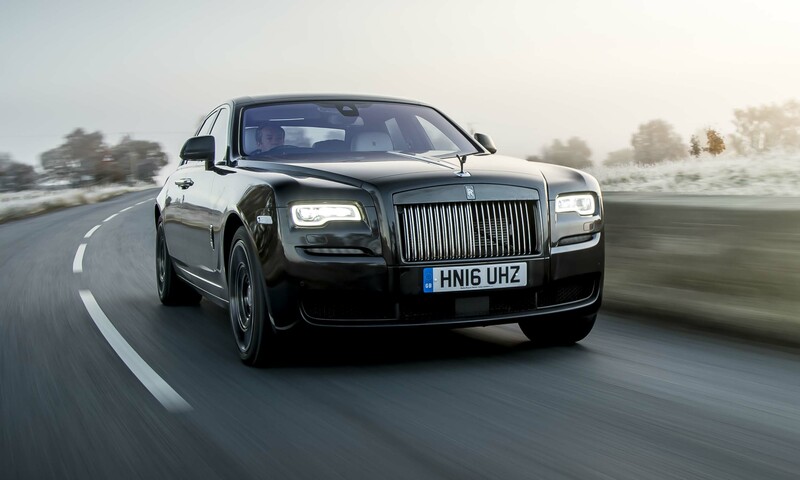 It also bumps the power in Rolls Royce’s twin-turbocharged 6.6-liter V12 engine to 606 horsepower with 619 lb-ft of torque. For those who can, you might as well. 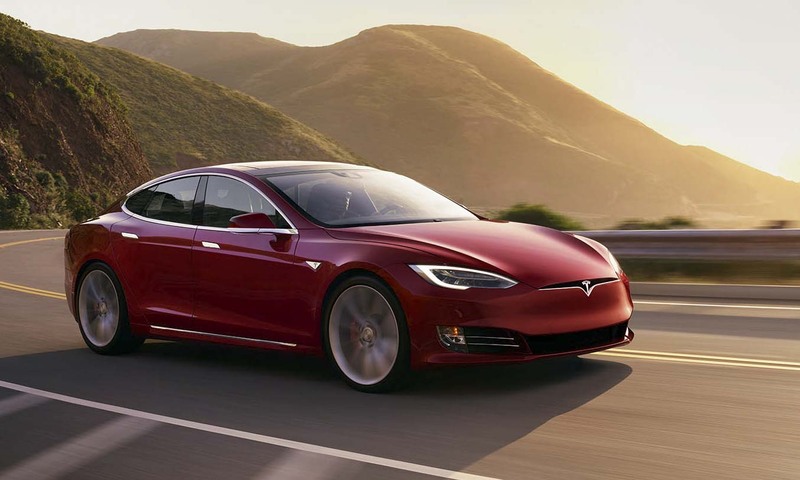 The 100kw battery-equipped, all-wheel-drive P100D brings everything you’d find in any other Tesla Model S: the self-driving capabilities, the HEPA air filtration, the classic massive Tesla touchscreen and more. What that big battery adds in the P100D is the longest range per charge in the Model S lineup . 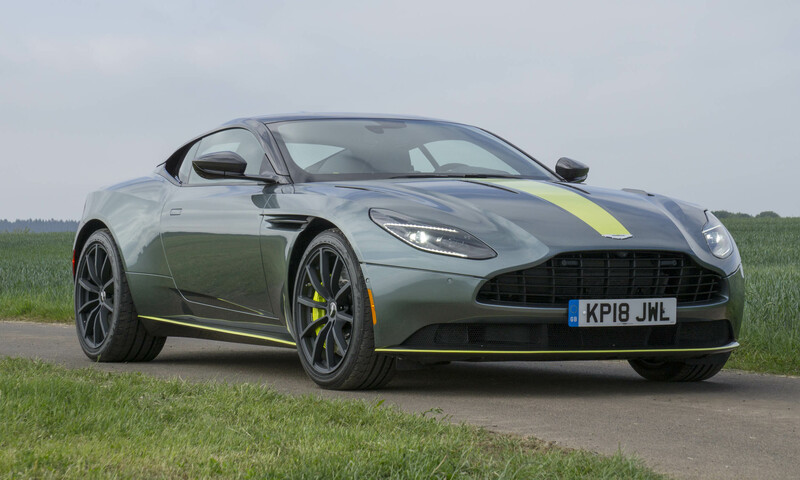 . . as well as Ludicrous Mode, which pulls 2.5-second (and quicker, so the stories go) zero-to-60 mph runs. 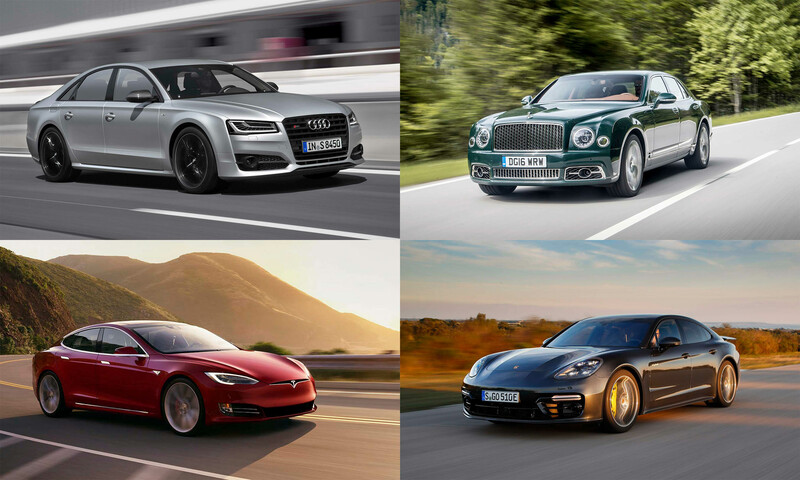 It’s one thing to be one of the ultimate family luxury sedans, or a world-beating all-electric rocket. It’s quite another to be both. If the Maybach S600 isn’t quite your thing, Mercedes-Benz always has an AMG card up its sleeve. The AMG S65 can be obtained with various levels of rear-seat opulence for those who need it, including features such as an Executive right-rear seat, folding tables, and heated / cooled cupholders. 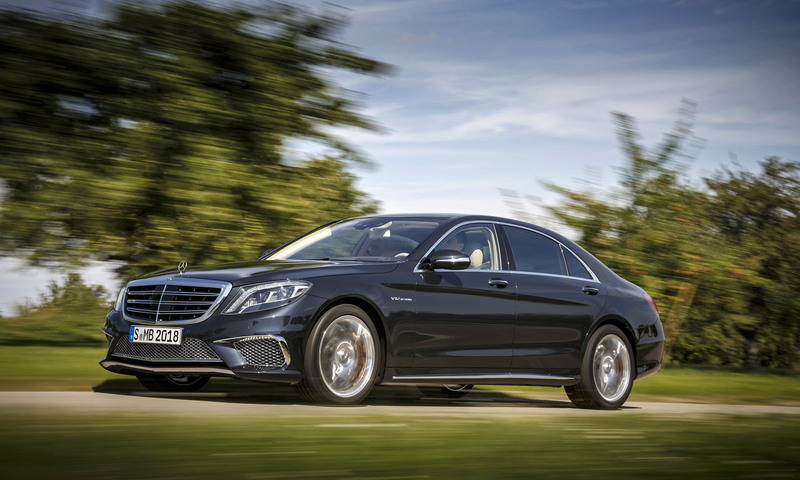 Although with Mercedes’ twin-turbocharged 621-horsepower 6.6-liter V12 engine lurking beneath the hood, we expect takers of the AMG S65 more likely to be driving themselves. 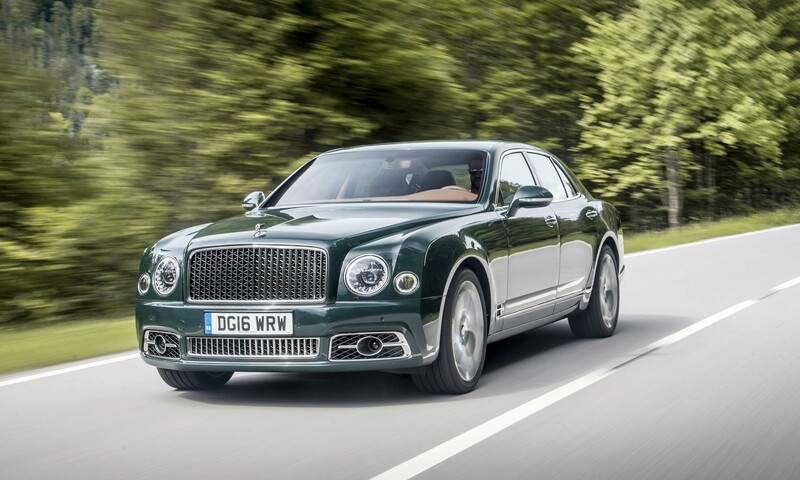 Bentley’s Mulsanne Speed has something going for it that no other high-end luxury performance sedan can offer — not even its sibling, the Flying Spur W12 S. That would be its 6.75-liter, twin-turbocharged pushrod V8 engine, which in the Mulsanne speed puts out a more-than-respectable 530 horsepower but an otherworldly 811 lb-ft of torque. If you’re going to drive your own limousine, you might as well drive one that looks good, packs every option in the book, and can pull forever. 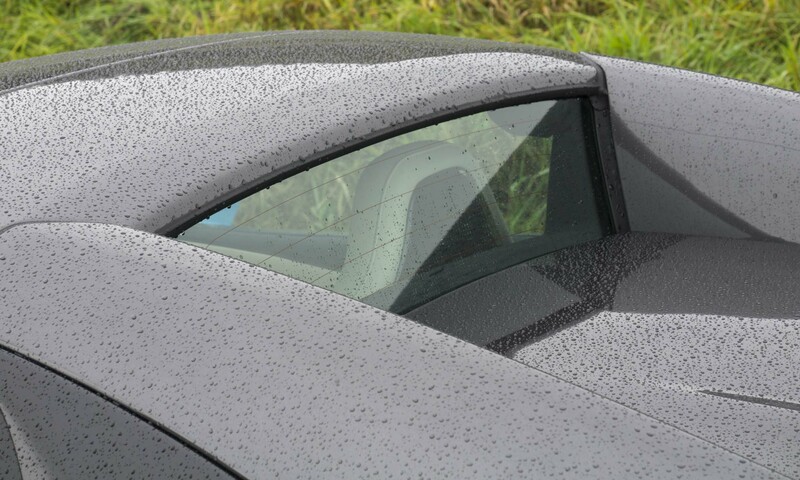 Most cars in this category are luxury sedans tuned to achieve sports car-like performance. 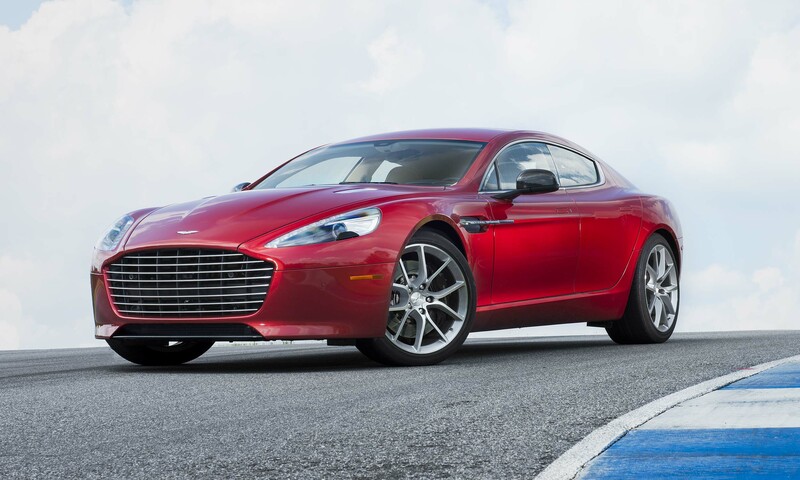 The Aston Martin Rapide S is different in that it was designed to be a high-end sports car that happens to have four doors. 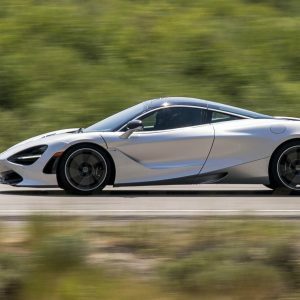 With a curb weight just over 4,300 pounds — downright svelte for the category — the 5.9-liter V12’s 552 horsepower and 465 lb-ft of torque are enough to pull off zero to 60 mph in 4.2 seconds, and keep on running to a top speed of 203mph. 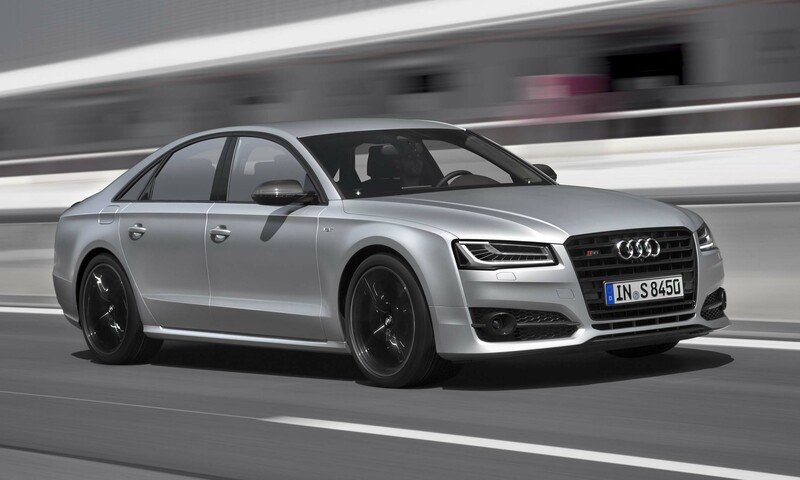 Where the Audi S8 Plus is all about refined power, the RS7 is more performance oriented. 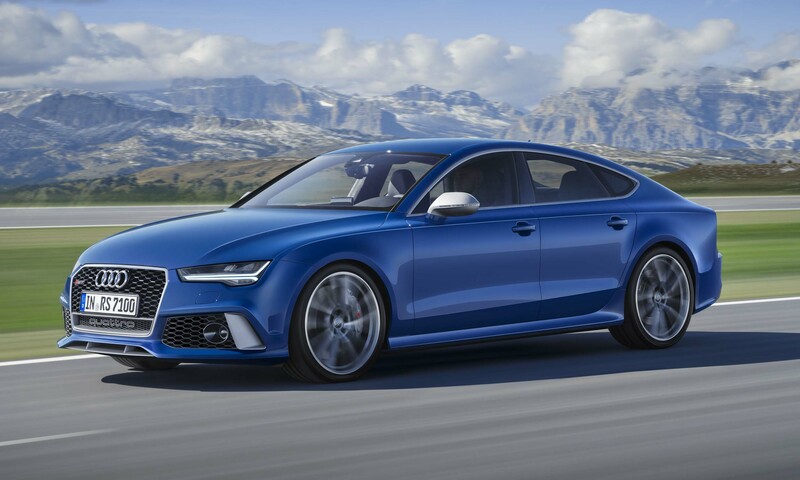 In its Performance package trim, the RS7 packs the same 605-horsepower 553 lb-ft 4.0-liter V8 as the S8 Plus, but the application of Audi’s DRC suspension system, ceramic brakes, and top track speed of 190 mph clearly announces the RS7’s intentions. Carbon pieces around the RS7 (front spoiler, rear diffuser) give the RS7 the look to match the goods. Maserati’s Quattroporte GTS combines two things that are nearly irresistible to anyone in the six-figure-and-above car-buying market: Italian-style aesthetics inside and out, and an engine that makes an unholy racket. A twin-turbocharged 3.8-liter V8 with 523 horsepower and 524 lb-ft of torque powers the range-topping GTS. 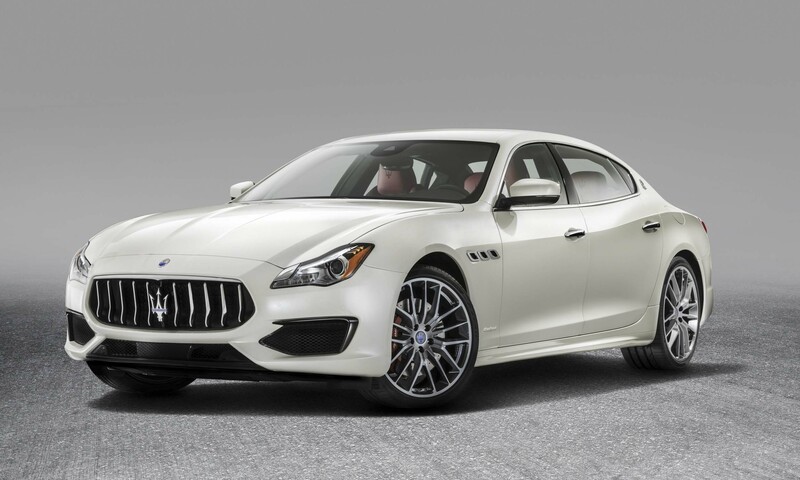 The Quattroporte GTS can be had in either the more luxury-focused GranLusso trim or the GranSport trim, with uniquely sporty paddle shifters, pedals, trim pieces and other racy bits. 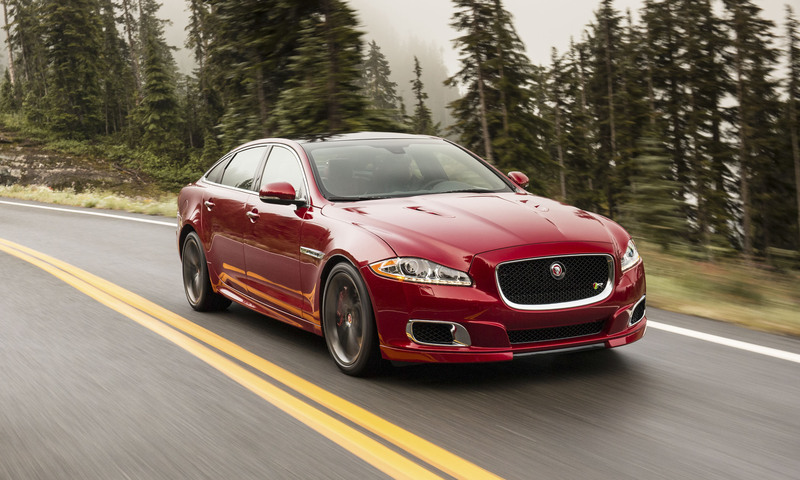 Jaguar’s flagship sedan is offered in a number of trim levels, including a long wheelbase version. But it’s in the XJR form that this cat roars loudest, transforming from luxurious city cruiser to sports car in a heartbeat. The XJR boasts a supercharged 5.0-liter V8 engine with 550 horsepower and 502 lb-ft of torque, and just enough aggressive hints in its bodywork to suggest potent power without losing any of its trademark elegance. Inside, carbon fiber rather than wood trim completes the cabin. 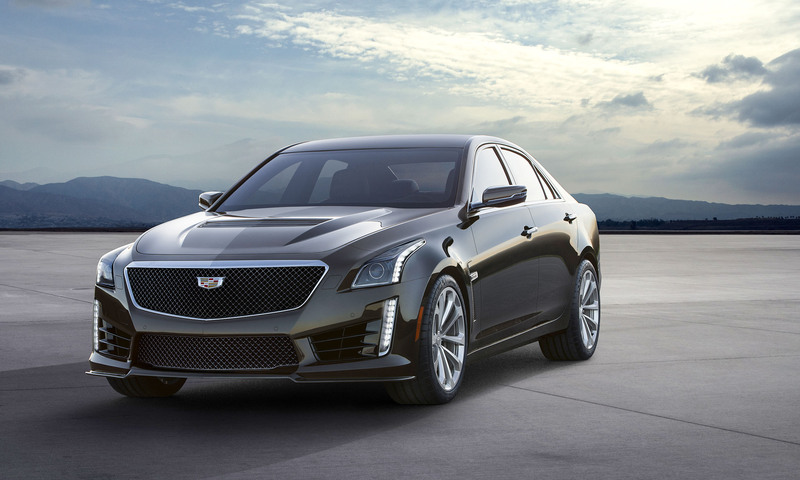 America’s entry in the high-end performance sedan category may not be quite as posh as the Europeans, but the CTS-V has it where it counts. This Cadillac packs a supercharged 6.2-liter LT4 V8 engine rated at 640 horsepower and 630 lb-ft of torque. Zero to 60 mph is achieved in a breathtaking 3.7 seconds, and top speed is claimed to be limited to 200mph. Those still wanting for a little more can opt for the Carbon Black package, which adds unique wheels and carbon fiber aero trim pieces around the car.